SAN MATEO, Calif., ZARAGOZA, Spain—June 9, 2015—At Sensors Expo today, Libelium announced the addition of ion selective sensor probes to the Waspmote Smart Water sensor platform, for increased sensitivity and accuracy in water quality monitoring. The Waspmote Smart Water platform is an ultra low-power sensor node designed for use in rugged environments and deployment in Smart Cities in hard-to-access locations to detect changes and potential risk to public health in real time. Waspmote Smart Water is suitable for potable water monitoring, chemical leakage detection in rivers, remote measurement of swimming pools and spas, corrosion and limescale deposit, fish tank monitoring and seawater pollution levels. 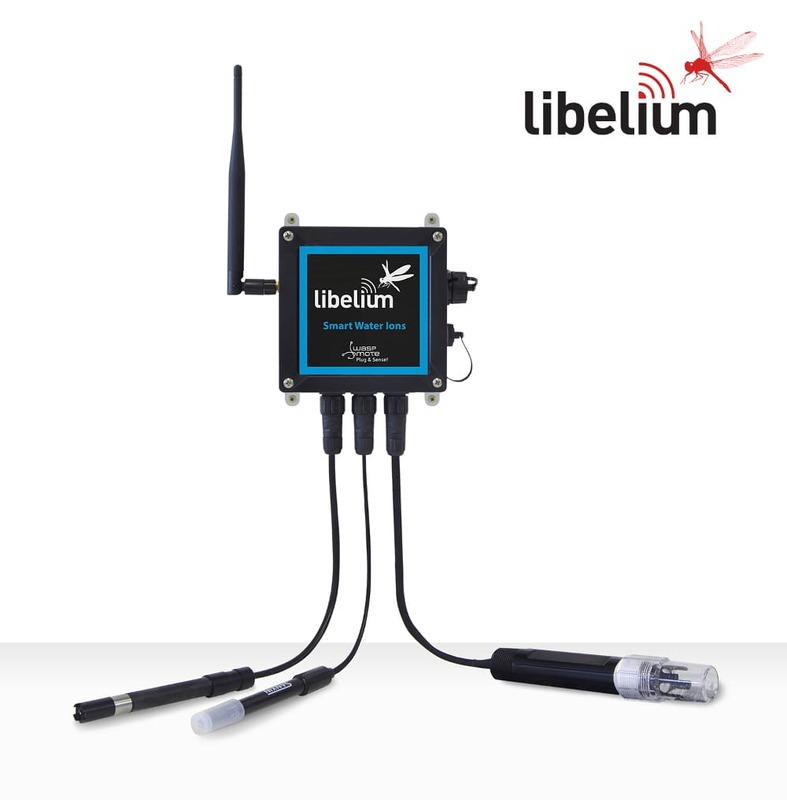 Smart Water nodes are ready to deploy out of the box and sensor probes can be recalibrated or changed in the field, with sensor calibration kits provided by Libelium. In terms of connectivity, Waspmote may use cellular (3G, GPRS, WCDMA) and long-range 802.15.4/ZigBee (868/900MHz) to send information to the Cloud. Unlike early bulky water quality analysis systems, these sensors can be left onsite for remote monitoring, powered by batteries that last for years. Demos showcasing Waspmote Smart Water are held in California at the American Water Works Association (AWWA) 2015 Annual Conference – in Anaheim, June 7-10, on the LoRa Alliance booth; and at Sensors Expo – in Long Beach, June 9-11, Libelium booth #229. Sensor probes measure more than 12 chemical and physical water quality parameters such as pH, dissolved oxygen (DO), conductivity (salinity), oxidation-reduction potential (ORP), turbidity, temperature, etc. Pollutants can be detected and treated in real-time, to ensure good water quality over an entire water supply network. Extreme pH values may indicate chemical spills, treatment plant issues, or problems in supply pipes. Low levels of DO may indicate the presence of microorganisms due to urban/agricultural runoff or sewage spills. ORP measures how well water sanitization is working. Firsh Farming / Fish Tank Monitoring / Hatchery / Aquaculture / Aquaponics: Measuring the water conditions of aquatic animals such as snails, fish, crayfish, shrimps or prawns in tanks. Important values are pH, Dissolved Oxygen (DO), Ammonia (NH4), Nitrate (NO3-), Nitrite (NO2-) and water temperature. Waspmote transmits sensor readings to the Cloud via 3G, GPRS, or WCDMA cellular connections; in the case of several nodes located in the same zone, Waspmote sends values to the Meshlium Internet Gateway via long range RF bands 868MHz and 900MHz. Sensor data is available in real time, even from sensor nodes situated in remote locations. Battery powered, low power requirements. Because no wiring is necessary Waspmote installation takes just minutes and can provide remote monitoring for years. For more Technical information go to Waspmote and Plug & Sense! website, or read the Smart Water Ions and the Smart Water Technical Guides. For more information about our products contact the Libelium Commercial Department. Read more about the Smart Water Sensor Platform here. Read more about the new Ions PRO for Smart Water here.